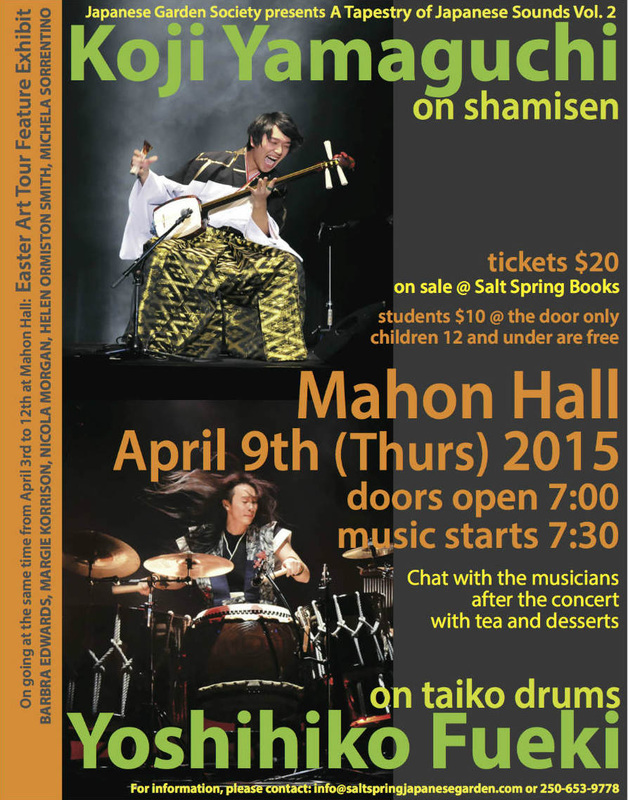 The Japanese Garden Society will be inviting two young musicians of Japanese traditional instruments to Salt Spring Island for a concert at Mahon Hall on April 9th 2015 as a part of the society’s annual celebration of spring blossom. 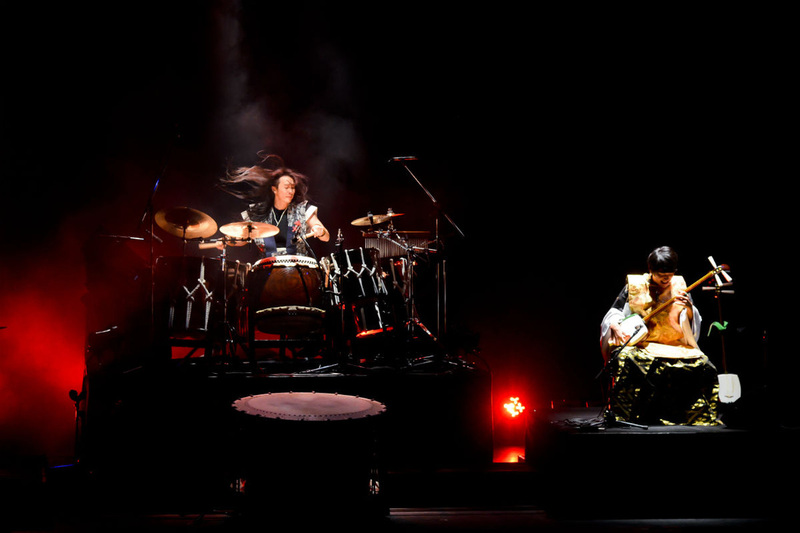 Shamisen player Koji Yamaguchi and Taiko drum player Yoshihiko Fueki are both trained in the fields from very young age and have become highly-achieved musicians. 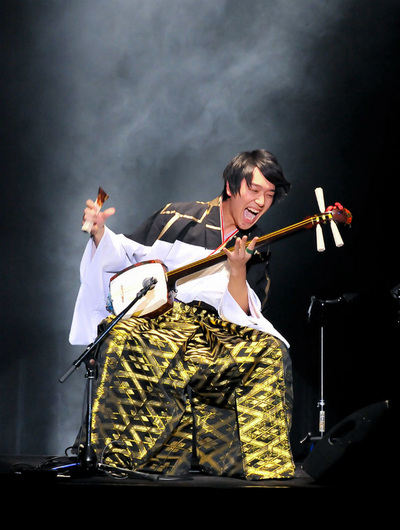 They are actively introducing and promoting Japanese traditional music in Japan and abroad with their dynamic performance. They are keen to share their enthusiasm for Japanese traditional music and have been actively performing and conducting workshops whenever they have the opportunity. 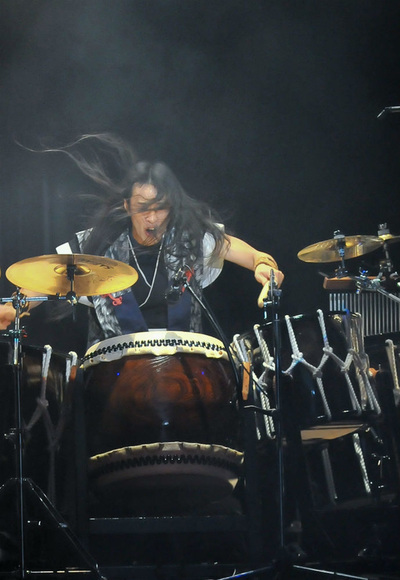 They are hoping to meet people on Salt Spring Island after the concert and sharing their heritage with them. Proceeds from the concert will go toward maintaining the Heiwa Garden and other activities to acknowledge the Japanese-Canadian pioneers on Salt Spring Island.